Product prices and availability are accurate as of 2019-04-21 16:55:49 EDT and are subject to change. Any price and availability information displayed on http://www.amazon.com/ at the time of purchase will apply to the purchase of this product. Easy to use: Simply plug the female jack into a 2.1mm male AC to DC power adapter to power multiple electronic devices. 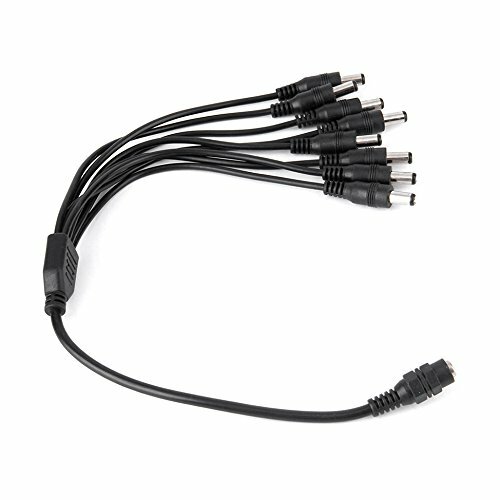 Plugs DC power splitter cable, for adapting power supply cable to CCTV cameras. Ferfect for CCTV security camera application at home or in office. 2 x DC 1 Female to 8 Male Power Splitter Cable. Package Include: 2pcs new high quality cable. Plug Diameter: 5.5 mm outer, inner 2.1 mm. 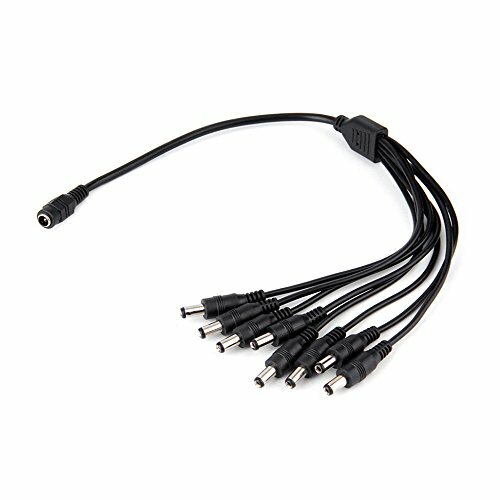 Convenient and cost effective way to power up 8 cameras with 1 power adapter. 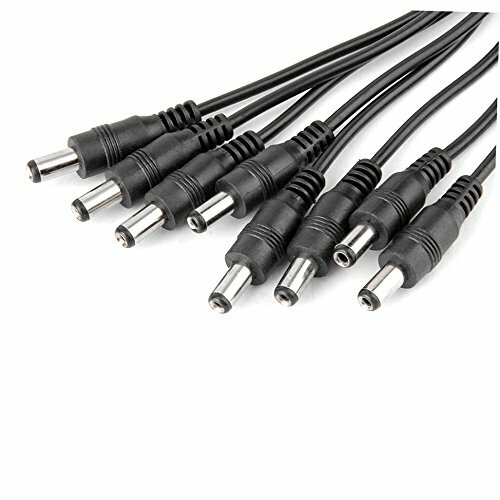 Useful for powering multiple cameras from one central adapter. 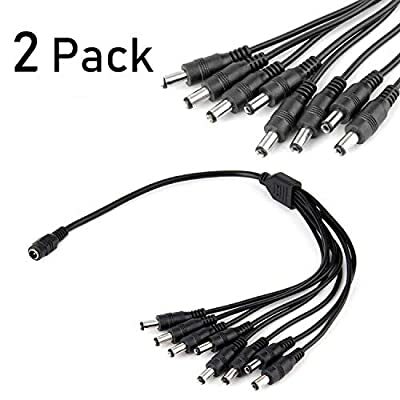 Compatible with 12V DC Components for camera power connecting supply and other low voltage accessories.